While in Steubenville, Ohio for the Dean Martin Festival, we drove around the city and came upon Union Cemetery – Beatty Park. 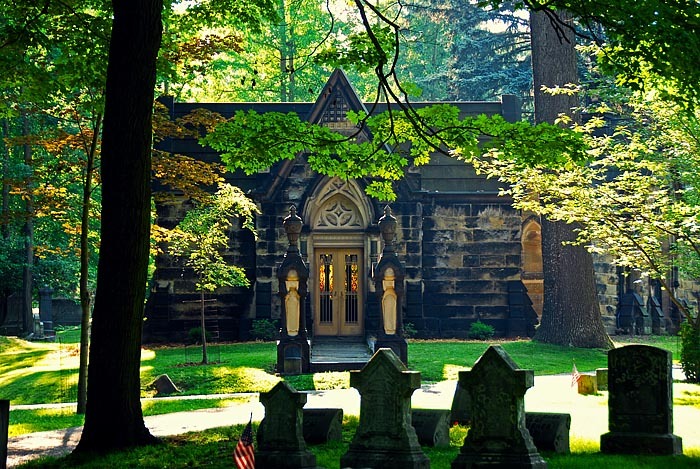 This cemetery is listed on the National Register of Historic Places and boasts more than 100 species of trees and flowering plants. 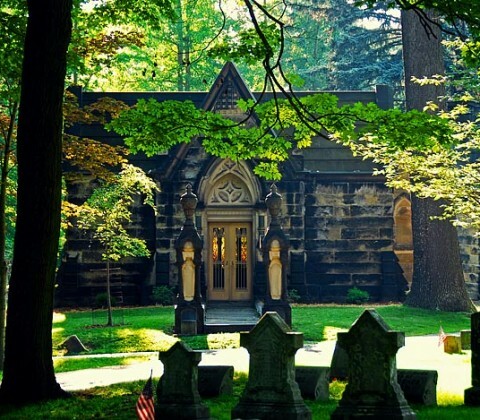 Filled with many historic headstones and well detailed mausoleums. The area is full of wildlife such as deer (we saw 5) and wild turkeys (saw 1). Be adventurous and find the dog marker.